In his classic case study of Melanesian cargo cults, Mambu, anthropologist Kenelm Burridge introduced the concept of the myth-dream, which he reduces to “a series of themes, propositions, and problems which are to be found in myths, in dreams, in the half-lights of conversation, and in the emotional responses to a variety of actions, and questions asked.” According to Burridge, what makes any such cult successful is the immediacy with which its figurehead is able to articulate the myth-dream, unleashing a barely conscious longing to know and resolve that which lurks in our mental shadows. The resulting destabilization is a shared process of salvation. I dare to claim the music of Barre Phillips as providing that same function. It embodies a psychological imperative to bring into focus that which inhabits the half-light of our awareness, and fulfills that need through sound. The only difference is that, here, there is neither the promise of salvation nor of migration, but rather the simple need to soak in the immediate essence of wherever one may stand. Mountainscapes is divided into eight parts of spirit-tugging magnificence, products of a mind that, though only cursorily represented on ECM, has done us a great service in recording his sounds for posterity. Mountainscape I hovers at the margins before unleashing a crackling free groove. The beautifully synthesized sounds and enthralling bass playing, not to mention an absolutely captivating soprano solo from reedman extraordinaire John Surman, give us a rich taste of resolution. It is an unexpected transition, one that jolts the heart into awareness every time. II is a quieter follow-up, enigmatic, peripheral. Like the myth-dream, it lingers just beyond our reach, baiting our desire to know it in full. III is an exquisite piece enhanced by organ and electronics. In IV, the bass becomes a huge rope hefted and swung like a mast cord in a seasoned shipmate’s hands before a saxophonic wind illuminates its sails. The drums never quite stand upright, crossing their feet instead in a continual swagger. V fades in with a synthesized arpeggio. Some sinuous bass notes and a stellar saxophone peek out from the woodwork here. The bass thrums like a groaning in the earth. Meanwhile, a synthesizer bubbles to the surface before fading into transfiguration. VI begins with a lavish wash of electronics embroidered by Phillips’s harmonic threads. It’s a short track, but for me the most effective on the album. VII begins with more pulchritudinous arpeggiation. The sax trails along, trying to place its footsteps in the same imprints as the bass trails not to far behind: the trio as mise-en-abyme. An electric guitar surprises us in the final part, wound by an enthralling sax to feverish heights and playing us out in a gentle finale. In the end, this is music to be experienced rather than described. And so, I will stop trying. One of the albums that turned me on big time to ECM….from its distinctive, mysterious cover graphics to the journey that the music provides, this one is timeless. 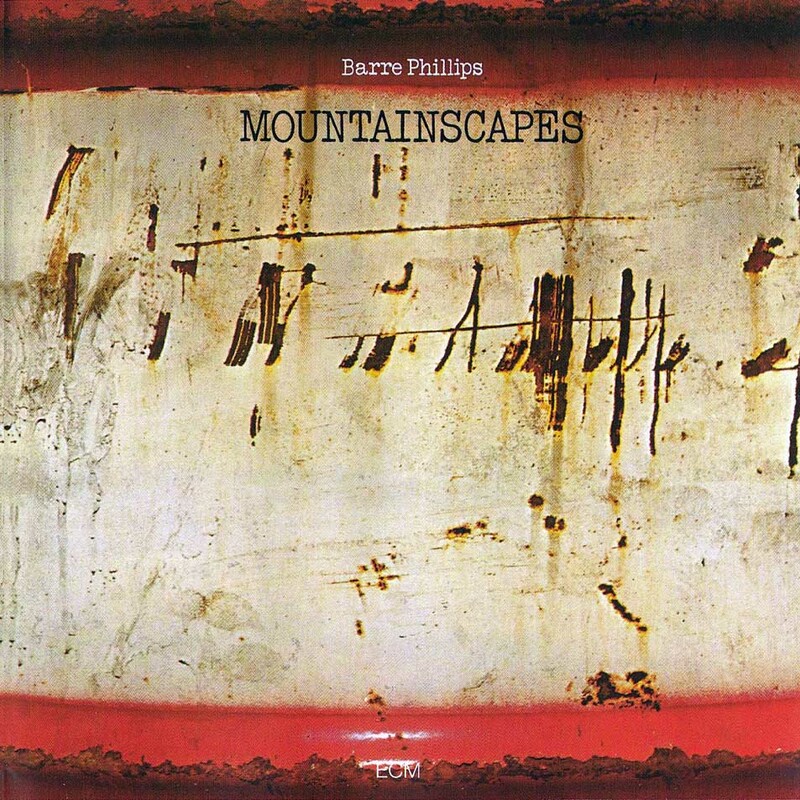 The music of Barre Phillips is unique on ECM in its distinctiveness – ability to transport, and often, ability to be just a bit unnerving. Everything on this works, from the fractured percussion, nervous bass strumming and howling synths of the opening track to one of the true gifts – a superb guitar solo from John Abercrombie on the closer. Great, great stuff! This was the 2nd ECM album I bought in 1979, right after getting turned on to the label (and it’s musicians) from Phillips “Three Day Moon”-This was the first time I ever heard John Surman, John Abercrombie, and Stu Martin and have followed them all since. I know the late Dieter Feichtner has recorded some solo albums but I have been unable to get a hold of any of them-they are very obscure and only available on tiny European labels that don’t seem to make their way here to the USA. These look great. Thanks for the link!